Kallio: The movement was found in 2011 when some of the services offered to people who are excluded or less fortunate, such as the bread line or the refugee- and asylum accommodation in Kallio, were under the threat of being evicted or moved away. The Kallio Movement was founded as an objection to this, stating that Kallio is not for NIMBYs but rather for everybody. Since its beginning, the movement has been open for everybody and for all ideas. 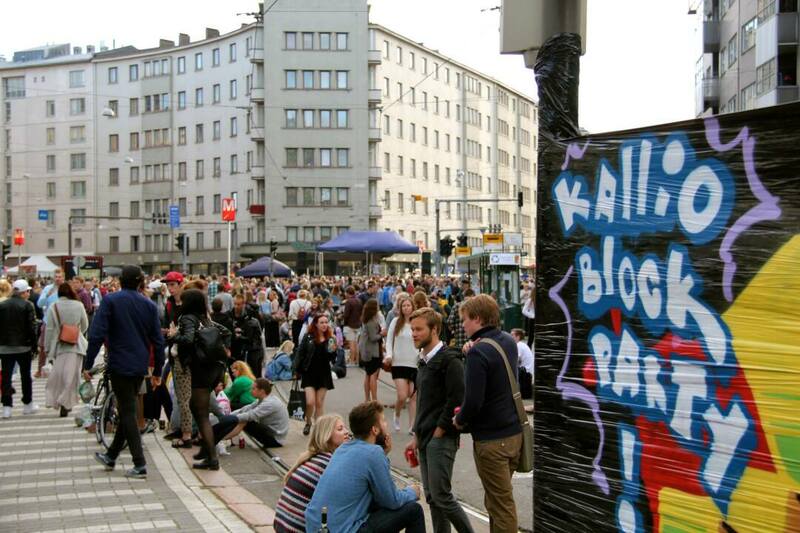 It has developed from a political starting point more into organising events in Kallio for the neighbourhood’s inhabitants. The main actors are volunteers from Kallio and its surroundings. Almost all events have one or several association or corporate partners, many of which are based in Kallio. Design is a natural part of the movement. It is not in the core of the movement, but used as a tool. Since 2012 Vaasankatu street has been decorated with lights, self-made by locals, for Christmas. Another example when design has been used was a graffiti walk with temporary graffiti for dwellers to find and enjoy. Also many events are promoted with attractive imagery.